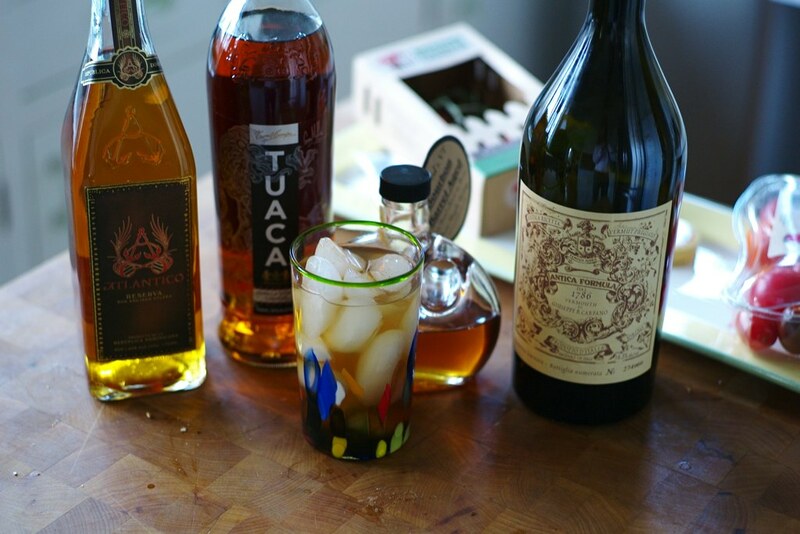 Tuaca- Dark Rum from Atlantico- Angostura Bitters, Grade B Maple Syrup and charred citrus fruits make up this week’s cocktail experience. The inspiration for this drink came during dinner a few weeks ago at the highly regarded modern American restaurant named Serenade; located in Chatham, NJ. They prepare a cocktail that’s similar in scope, using sweet vermouth and chopped apples named the Chatham cocktail. In keeping with my twisted cocktail logic, I deepened the version served at Serenade by adding Carpano Antica Formula Sweet Vermouth, Tuaca- the savory Mexican Vanilla / Citrus Liqueur, Atlantico Dark Rum, a muddle of chopped, grilled citrus fruits (tangerine, orange, grapefruit) with Grade B (Dark Amber) Maple Syrup and finally a few dashes of Angostura Bitters with a splash of Perrier. I call this drink the Dripping Spanish Moss Cocktail in reverence to the coming week’s activities. I’ll be traveling to Charleston, South Carolina to judge the Iron Cocktail Competition at the renowned Charleston Wine and Food Festival. The first round will have all 4 competing against one another to create a specific themed drink (decided by Charlotte). 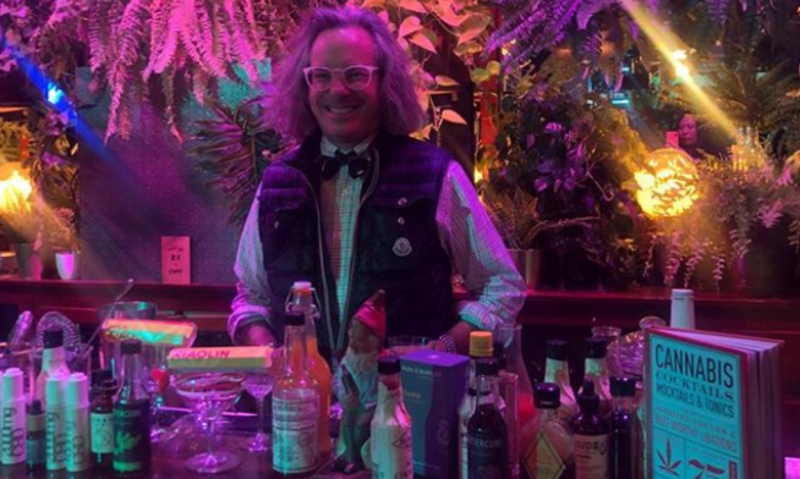 You and the other judges – Junior Merino, The Liquid Chef and Nicholas Polacchi, The Balvenie – will then narrow the finalists down to 3 who will then go to the next round to create a specific themed cocktail (decided by Charlotte). The second round will continue like the first and the 3rd will be the final two. The competition is from 4:00 – 5:00 PM on Friday, March 2, 2012 in the culinary village in Marion Square in the Palmetto Cheese Culinary Hub Tent. If you are anywhere near Charleston, South Carolina on Friday, stop by and introduce yourself. 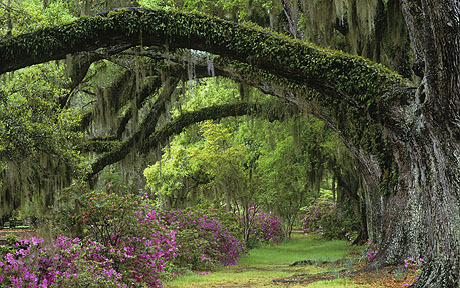 The Dripping Spanish Moss Cocktail– is named for the surfeit of Spanish Moss that hangs gracefully from the “live oak” trees.